Do you have a few side dishes that grace your Thanksgiving table every year just because it’s tradition? My family sure does, and this Cranberry Jello Mold is one of them. While my oldest son insists on the Spinach Mushroom Casserole as his side dish pick for Thanksgiving, my youngest son’s favorite Thanksgiving dish is this Cranberry Jello Mold. Without Nana’s Cranberry Jello Mold, it’s just not Thanksgiving to him. And even though he is in Australia this year and won’t be home for the holidays, we are still having it, it’s tradition! In our family we call this “Nana’s Cranberry Jello Mold” because it comes from my mother-in-law and you could bet your life that not a Thanksgiving would go by that this wasn’t on the table at her house. I’ve been married for 26 years, and for 26 years this jello has been on the menu. 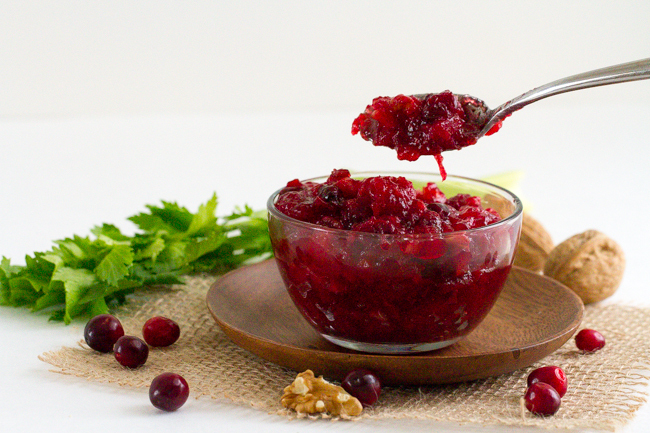 Even if I try to step out of the box and make some other cranberry side dish recipe, we still have this one as well. 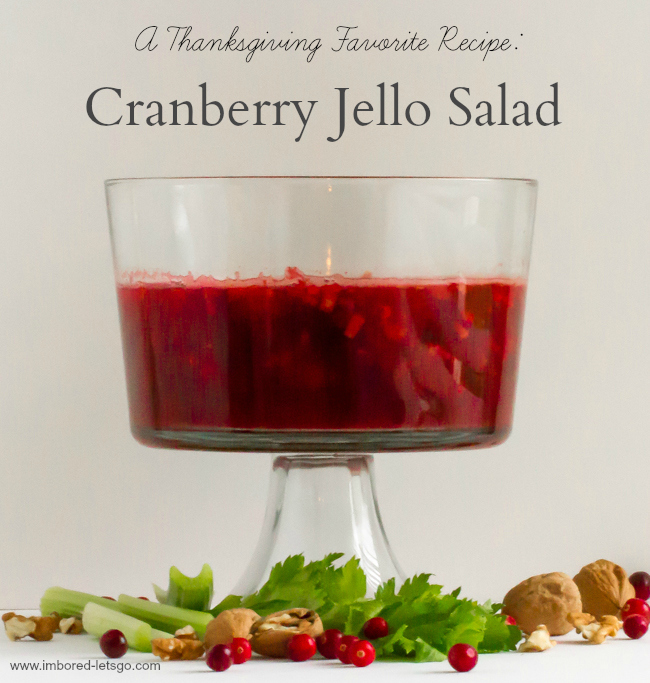 Thanksgiving Favorites: Nana’s Cranberry Jello Mold. It’s what’s on the menu this year…again (and nobody’s complaining!). Combine 2 cups water and sugar, boil 5 minutes, then add cranberries and zest (if using). Continue cooking until they've all popped. Set aside. Dissolve jello in 1 cup boiling water. In bowl, combine all ingredients and stir to combine. Pour in jello mold (spray with Pam first). Chill to set.